Prospective buyers were probably confused – or extremely excited – about seeing a floor shifter, a shift light, and a beckoning “big red button” within reach from the driver’s seat. Veteran tire-kickers would have noticed the fuel cell and braided fuel lines, though this isn’t exactly a dead give away. Popping the hood would be the tell-all that this C10 is built for business. It is powered by a ZZ 572 big block crate engine that makes 620 horsepower. In the photos the C10 appears to be on street tires, but according to a BangShift article, there was set of slicks also included in the sale. We can imagine those are a must for any driver hoping to get any traction with this wicked truck. 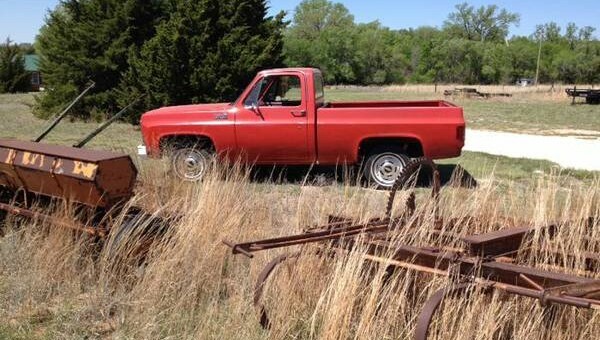 Unfortunately for those hoping to pick this truck up as a new toy, the Craigslist posting has been deleted. We’ll take that as a sign that someone is now the proud new owner of this race-ready C10. The asking price was $14,900, which is about $2,300 less than the new crate engine alone. It’s no surprise that this thing sold so quick from that perspective, but would you have bought it yourself? Let us know in the comment section below. This is nothing. The greatest Chevy truck sleeper was owned by AJ Foyt. Some kid in a Camaro dusted him one morning on a drive in his stock daily driver truck. The kid did it more one day on that same drive to the team shop. AJ said he had enough of it took his truck to the shop and told the crew to put one of his NASCAR engines in truck. He drove it out the next morning and dusted the kid off and then some with over 700 HP. Only AJ Foyt would do that. He also would drive his race GT40 on the public roads with no plates often at speed. You have to love some of the things he did over the years. Funny. Just found this article on accident. You weren’t far off. It does haul mulch and make runs to Home Depot.